desire was to be a representational painter. She went on to master traditional techniques of painting in order to put beautiful color and light into images that would accurately resemble nature. In 1983, she began studying with Paul Ingbretsen and also Tom Dunlay, both are well known Boston realists. Currently she maintains a studio on the Boston Fenway. 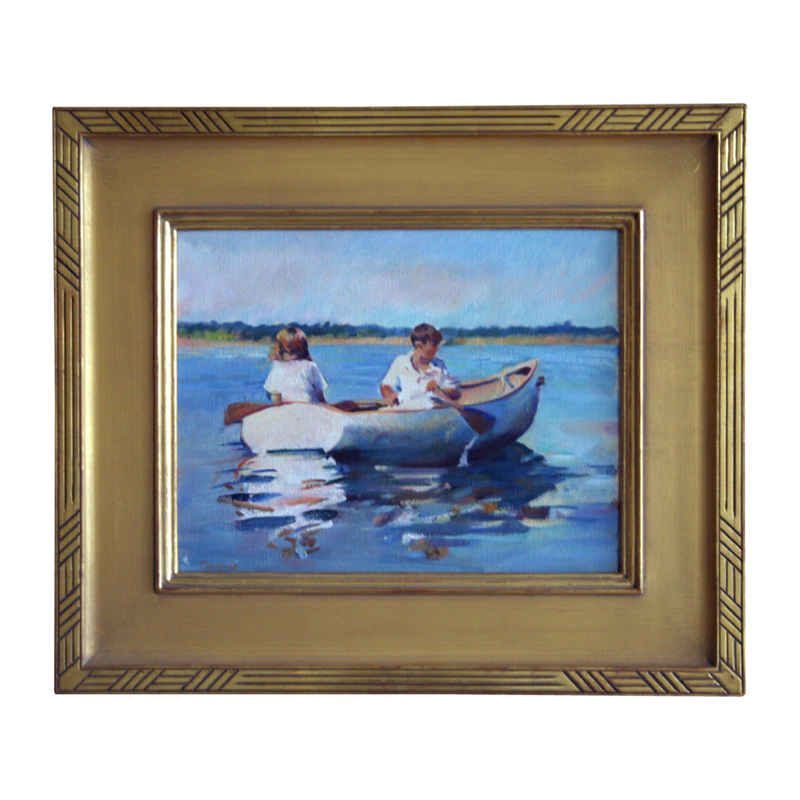 She paints on location every year on Nantucket and also in Vermont. Her preferred media include oil, watercolor, pastel, and charcoal. Amy exhibits at the Copley Society in Boston and also at the Sherbourne Gallery on Nantucket. This oil on canvas is signed in the lower left hand corner.